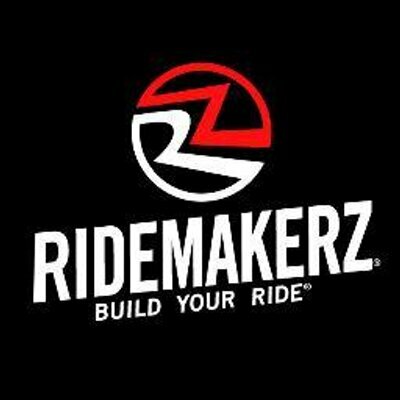 If you’re looking for the best RideMakerz coupons, you’re in the right place! Ridemakerz has been committed to the importance of play in the positive development of kids since it started in 2006. Driven by a passion for having fun and real-world car culture, Ridemakerz inspires self-expression through the creation of one-of-a-kind Ridez or toy cars. The intense focus, by the brand, on detail, quality and the joy of creating something unique has won praise from parents, kids, industry leaders, educators and car enthusiasts alike. The Ridemakerz experience is specially designed to: provide Choice, which gives you a sense of optimism and possiblity, unleash Creativity, everyone is born creative and expressive so your given the chance to use those qualities to build an awesome ride. Up next is Confidence, at Ridemakerz you will have the guidance and the freedom to ensure that you succeed in building your one-of-a-kind ride. Collaboration, in a do-it-yourself-together experience, although you build your ride yourself, you have to realize that you could not have done it without the assistance and support of others, and last of all Community, in a very real sense, the Ridemakerz experience would be incomplete if we did not extend that sense of connection to the community in which we live, and beyond, to the planet that we all share. Ridemakerz invites guests, or “Customizers”, into the ultimate car customizing experience where they can build one-of-a-kind Ridez (about the size of a football). Between body styles and colors, rims and tires, lights and sounds, accessories and decals, there are more than 649 million possible combinations, not including individual decal placement! Go in and create your Ride today!